Nearly two dozen medical professionals in the UK took bold action this past week. They joined together to speak out and confront the National Health Services and call for patients to be given the full facts about preventive health screening. Public health recommendations and information women receive about breast cancer screening is not only unsupported and one-sided, they said, but denying women their right to give informed consent before submitting to a medical procedure that has been shown to harm ten times more women than it may help. The bottom line, none of the information women receive about breast cancer screening “comes close to telling the truth,” they wrote in The Times. As a result, they said, women are being manipulated to undergo mammography. The National Health Services Screening Programme tells women that mammography saves lives and is responsible for dramatic declines in breast cancer mortality since it began twenty years ago. That claim is disputable, they said, and equally explained to improvements in treatment. Missing is balance. Women don’t hear about the risks. Nor do they hear about the evidence showing that up to half of all breast cancers, and their precursor lesions, found by screening would not likely to have ever done any harm to women in their lifespans if they’d been left alone, they reported. Yet, if found at screening, they potentially label the woman as a cancer patient: she may then be subjected to the unnecessary traumas of surgery, radiotherapy and perhaps chemotherapy, as well as suffer the potential for serious social and psychological problems. The stigma may continue to the next generation as her daughters can face higher health-insurance premiums when their mother’s overdiagnosis is misinterpreted as high risk. We believe that women should be clearly informed of these harms in order to make their own choice about whether to attend for screening. Times Health Editor interviewed a few of the medical professionals who signed the letter. Michael Baum, Emeritus Professor of Surgery at University College London, said there is no evidence that breast cancer screening was bringing significant benefits. Even with screening and early detection, the numbers of invasive breast cancers being detected hasn’t been dropping, he pointed out. The claims that screening prevents invasive breast cancer simply don’t add up. It is “outrageous that the full facts are not being set out so women could make informed decisions,” he said, and that women are being inappropriately pushed into aggressive treatments. “It is time we had a complete rethink, but anyone who dares challenge the sacred cow of screening has a terrible time,” Dr. Baum said. Margaret McCartney, a GP in Glasgow and another signatory, told The Times that the pros and cons of screening were not being relayed to her patients. Women come to her for surgery after a screening recall, she said, with great anxiety and no idea of the fallibilities of the system through which they were being processed. The doctors’ letter has been widely reported in the UK, but mainstream media here in the United States has taken little notice. The study behind their letter, published in the current issue of the British Medical Journal, has also received virtually no media attention here, but every woman deserves to have this information. This study examined the data of nearly 2 million breast cancer screenings and found that of 2,000 women screened regularly for ten years, one will benefit and avoid dying from breast cancer, but ten healthy women will have needlessly undergone mastectomies, radiation and sometimes chemotherapy, and another 200 will have endured a false alarm and follow-up tests and biopsies. This examination of breast cancer screening was led by Dr. Peter C. Gøtzsche, director of the Nordic Cochrane Centre in Copenhagen, Denmark. Three years ago, they’d published a review of information on mammography breast cancer screening that women were receiving in six countries with publicly funded screening programs. They found that none of the literature had even mentioned the major harm of screening: overdiagnosis and subsequent unnecessary treatment of healthy women. About a third of the literature even told women that screening leads to less invasive surgery or simpler surgery, when “it actually results in 30% more surgery, 20% more mastectomies and more use of radiotherapy,” they wrote. The evidence — well-recognized among medical professionals and in the medical literature — is so startlingly different from what American women have been hearing, it’s almost hard to believe. In an in-depth article during Breast Cancer Awareness month, JFS examined breast cancer screening, including the evidence in the medical literature, the actual U.S. statistics, Cochrane Collaborative’s Systemic Review of mammograms and the conclusions of the U.S. Preventive Services Task Force. [This story is here, if you missed it.] The breast cancer screening information that American women receive from health insurance plans and hear from the media is exactly as Dr. Gøtzsche and colleagues described. The information is universally one-sided — women never hear the evidence or balancing information about the downsides. And they’re never told that not having a mammogram can even be a reasoned option. Blue Cross Blue Shields, for example, tells women that deaths from breast cancer have declined in recent years, due in large part to more women getting regular mammograms, raised awareness and improved treatment options. Mammograms are the best way to detect breast cancer early, it says. Women are told “There is no good excuse!” for them not to get mammograms. It recommends annual mammograms beginning at age 40 and monthly self exams beginning at age 19. 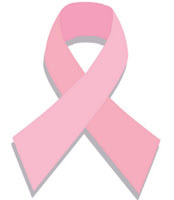 CIGNA HealthCare claims that mammograms have reduced death rates by 25 to 55% among women aged 50 and older. Women who don’t get mammograms get a “house call” from the health plan reminding them they need to get a mammogram, as part of its Breast Cancer Awareness Month Pink Ribbon Campaign. “Mammograms are the best screening tool we have to detect breast cancer in its earliest stages, when it is the most treatable,” said CIGNA HealthCare national quality medical director. “Early detection is not only a lifesaver, but it may also allow women to have more control over their treatment options,” he said. Kaiser Permanente similarly calls women beginning on their 40th birthday, notifying them that it’s time for their mammogram. Kaiser Permanente President for the Hawaiian region, claims that more than 90% of women found to have early stage breast cancer will be “cured” and that detecting and treating lumps in early stages greatly improves the odds of survival and eliminates the need for more costly and invasive treatments. She called for policy leaders to increase insurance coverage for preventive care and patient education to promote annual screenings. No mention is made of the major harm of screening — that is, unnecessary treatment of harmless lesions that would not have been identified without screening. This harm is well known and acknowledged, even among screening enthusiasts. It is in violation of guidelines and laws for informed consent not to mention this common harm, especially when screening is aimed at healthy people. About half of all American women who get annual mammograms for ten years will be wrongly told they have cancer. Half. This is not harmless, nor insignificant. “We now know that the psychosocial strain of a false alarm can be severe and may continue after women are declared free from cancer,”the Nordic Cochrane Centre authors explained. A third harm is caused by radiotherapy of overdiagnosed women. The NHS literature states that a mammogram “involves a tiny dose of radiation, so the risk to your health is very small.” But, as the doctors pointed out, the rate of overdiagnosis was 30% in randomised trials of screening and 50% in observational studies. They concluded that it was misleading to reassure women they would only be exposed to tiny doses of radiation when significant numbers of healthy women will be put at risk with much larger doses in radiotherapy. “The summary implies that screening leads to fewer mastectomies,” they wrote. “This is incorrect.” Most women would be stunned to learn that the evidence shows that “screening led to 20% more mastectomies in randomised trials” and that observational studies have confirmed that the number of mastectomies increases when screening is introduced. “These initial increases are not compensated for by reduced rates among older women who are no longer screened,” the doctors found. The literature makes no mention of carcinoma in situ, their research found, even though it “constitutes about 20% of the diagnoses made at screening in the UK.” Fewer than half of the cases progress to invasive cancer, they said, yet 30% are treated with mastectomy. Finally, it has not been proved that screening saves lives. There is an inevitable bias in assessment of cause of death that can be particularly difficult when women have more than one cancer. Trials show that breast screening does not decrease total cancer mortality. The relative risk was 1.02 (95% confidence interval 0.95 to 1.10) in the two most reliable trials and 0.99 in the others, and there is no reliable evidence that screening decreases total mortality, although half a million women participated in the screening trials. This indicates that the benefit of screening is likely to be smaller than generally perceived. The authors said this “one-sided propaganda about breast screening is a global phenomenon” that has resulted in women coming away with gross misconceptions about the benefits of breast cancer screening and their risks for breast cancer. A survey of American and European women found that 68% believed screening reduced their risk of contracting breast cancer, 62% that screening at least halved mortality, and 75% that 10 years of screening saved 10 of 1000 participants (an overestimate of 20 times). Another study showed that only 8% were aware that participation can harm healthy women and that 15% believed their lifetime risk of contracting the disease was more than 50% (an overestimate of five times). The purpose of health education is to provide information to enable women to make informed choices about what is best for them, they said, “not to recruit” them. In order to help women around the world have more balanced, objective information, the authors tested various versions of breast cancer screening information to find one that didn’t steer women to make a particular decision, but presented the facts to best help them decide for themselves. You can down load a copy of the breast cancer screening booklet that resulted from these efforts, here. The vast majority of women around the world have never heard what the medical evidence supports. In fact, it’s so opposite to what we continually hear, that it can even sound incredible. Yet, this is just one cancer screening test. Think of the far greater interests advocating other preventive health interventions, such as surrounding obesity, heart disease, cancer, health indices and “healthy” eating. This study serves as a valuable example and reminder that, all too often, health information is more marketing and disease mongering than we may realize.